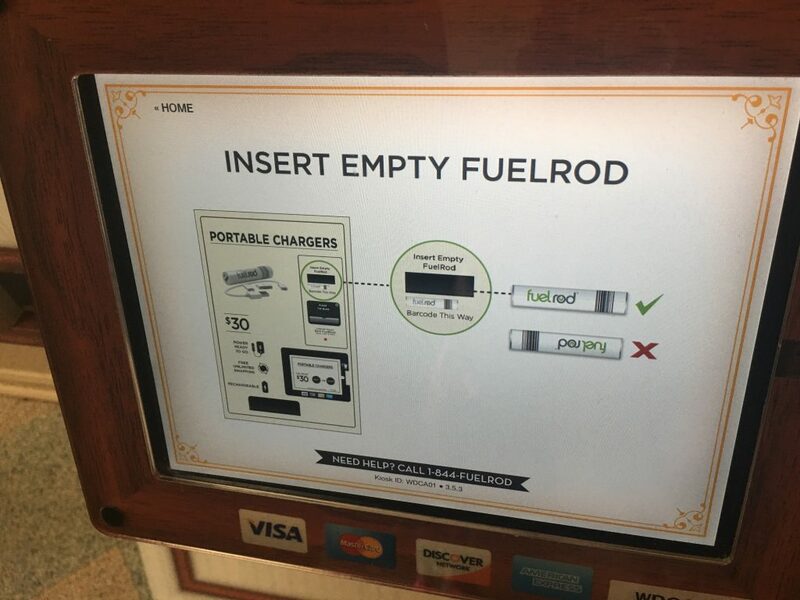 Fuel Rod chargers arrived at Disney World in the summer of 2016. 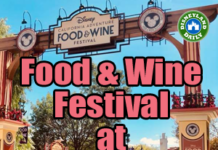 And, just recently, they started popping up at Disneyland. 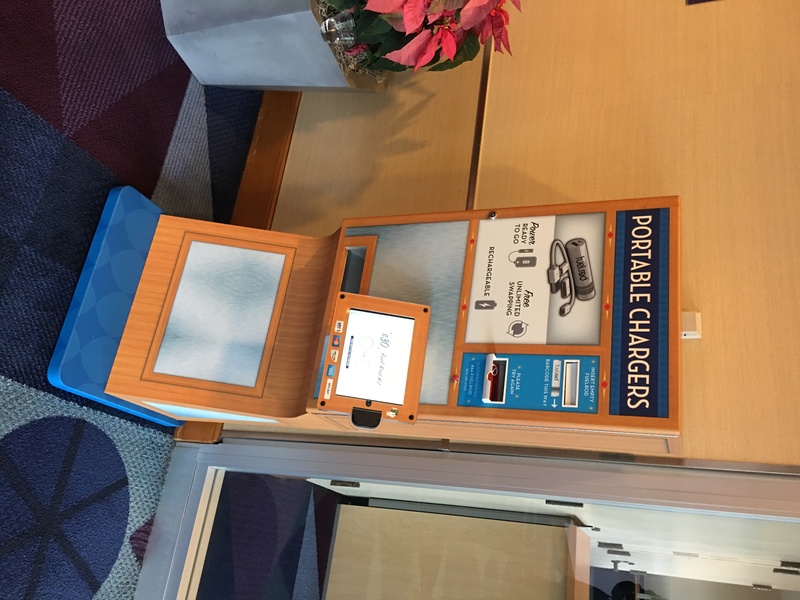 The concept of these chargers is simple and smart. I’ve enjoyed my experience with them so far. 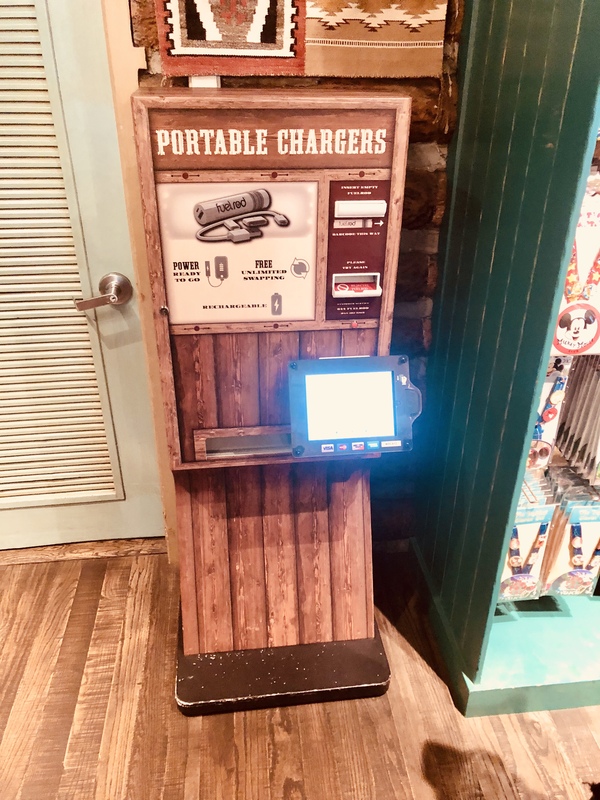 There are certainly longer lasting chargers available, but when you’re in the park and without a charger, these work nicely. 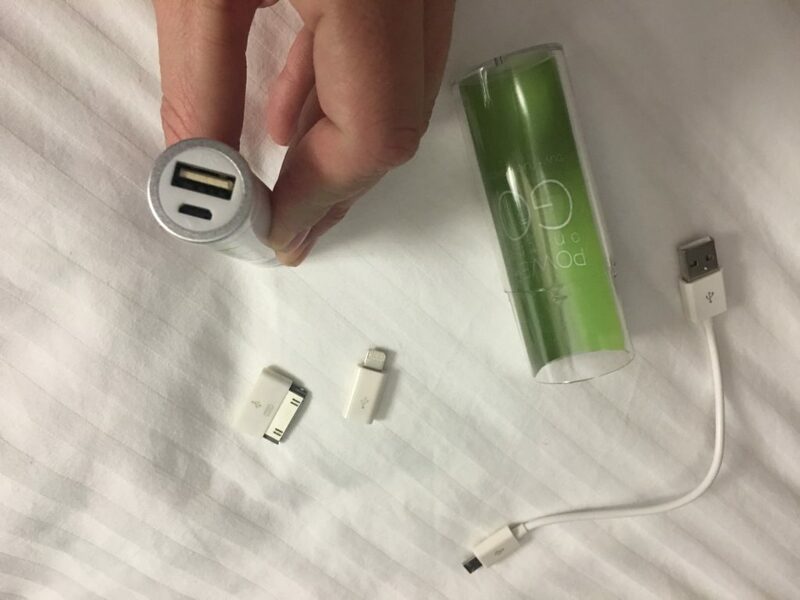 Take a look at what there is to know about this new option for battery charging. 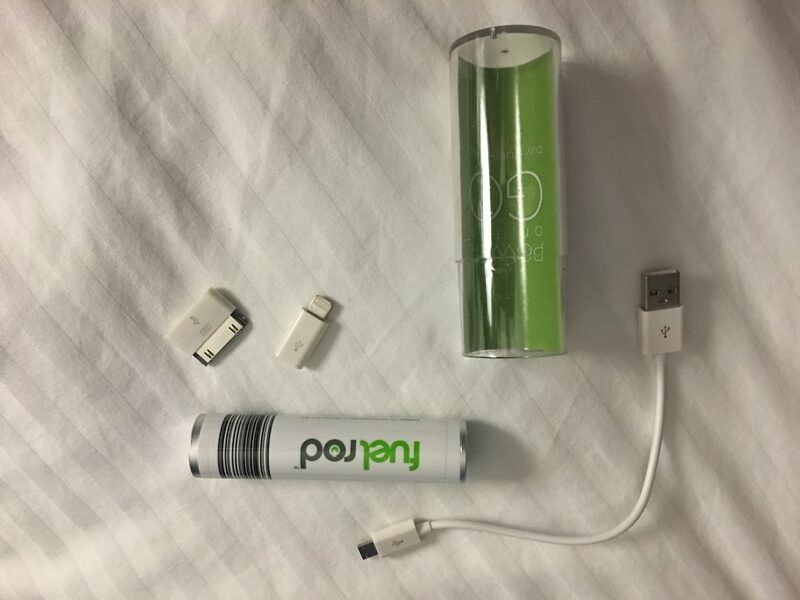 A ready to use FuelRod to power your devices. 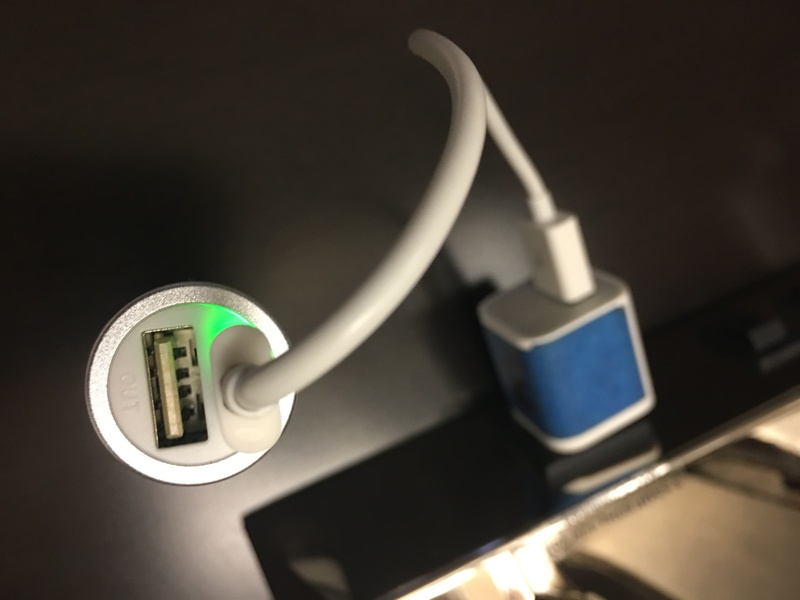 Adapters for both Android and Apple devices that are yours to keep, at no additional charge. The ability to be refueled (recharged) in any standard wall outlet. 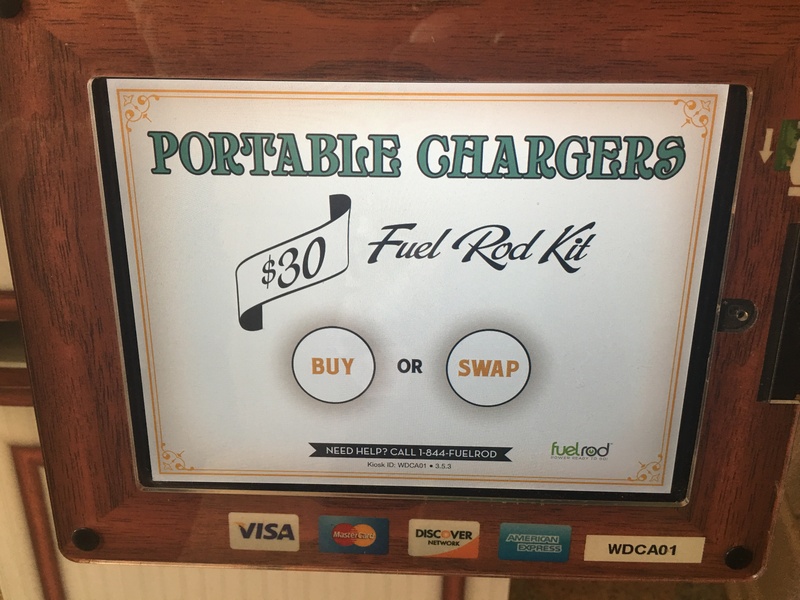 The ability to be swapped (traded) for a fully fueled unit at little to no additional cost at any FuelRod SwapBox. 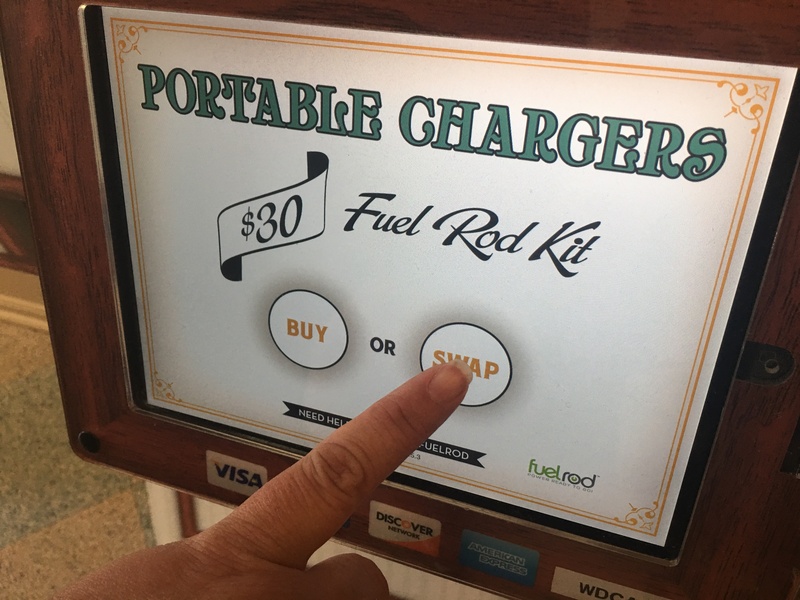 So, you buy the charger and then can swap it an unlimited amount of times at any Fuel Rod SwapBox, in or outside of the parks. You only pay once – when you buy the charger. There are no additional charges. We have iPhones and a Samsung Galaxy in our family, and this set works to charge them all. 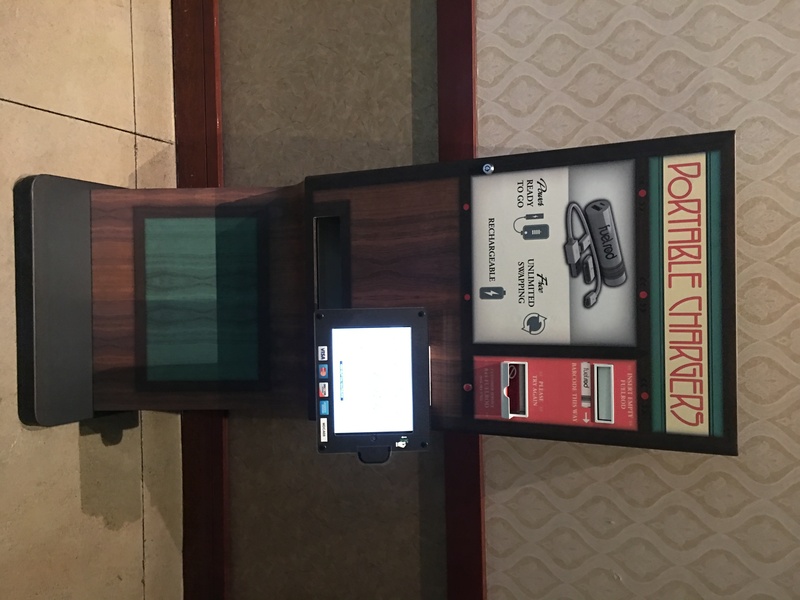 When you’re not near a Fuel Rod machine to swap your charger, you can charge it anywhere, just as you would any other charger. You just need a USB adapter. 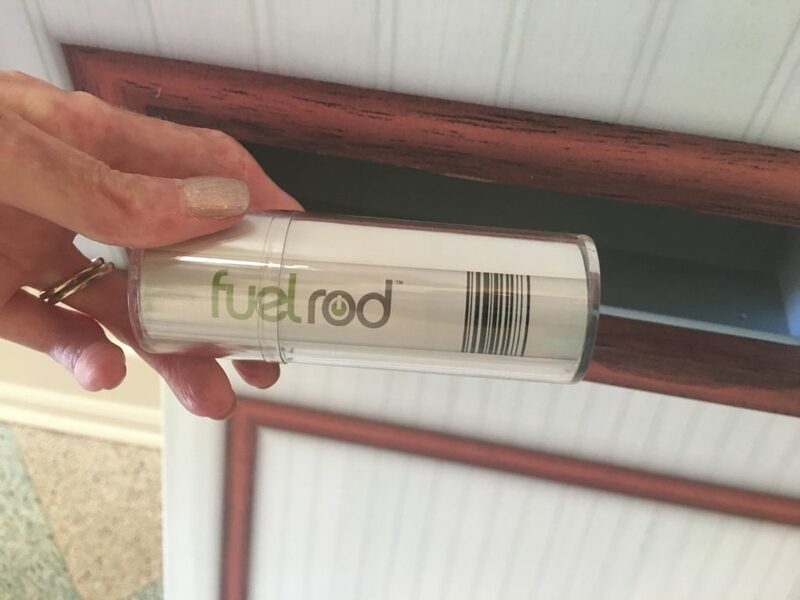 The Fuel Rod costs $20 + $5 shipping online for domestic delivery. 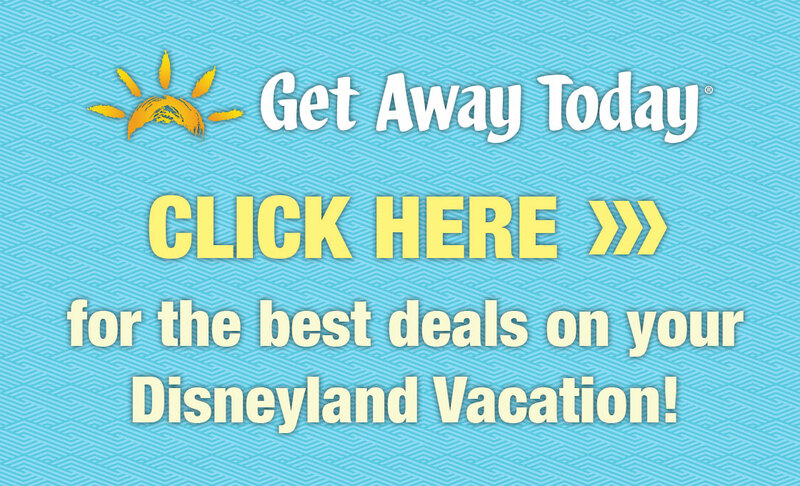 At the Disneyland Resort, you’ll pay a flat $30. 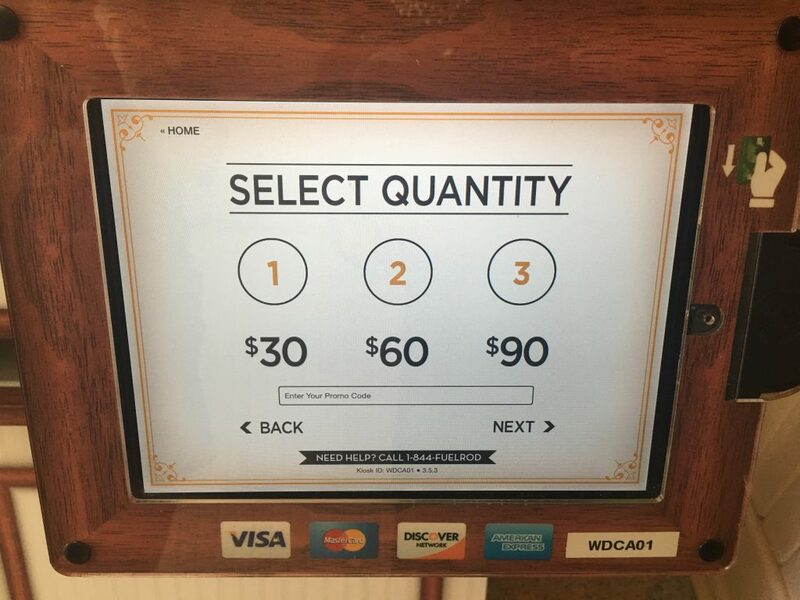 This is a one time fee. After you own the device, you have unlimited swaps. Fuel Rod chargers work anywhere. 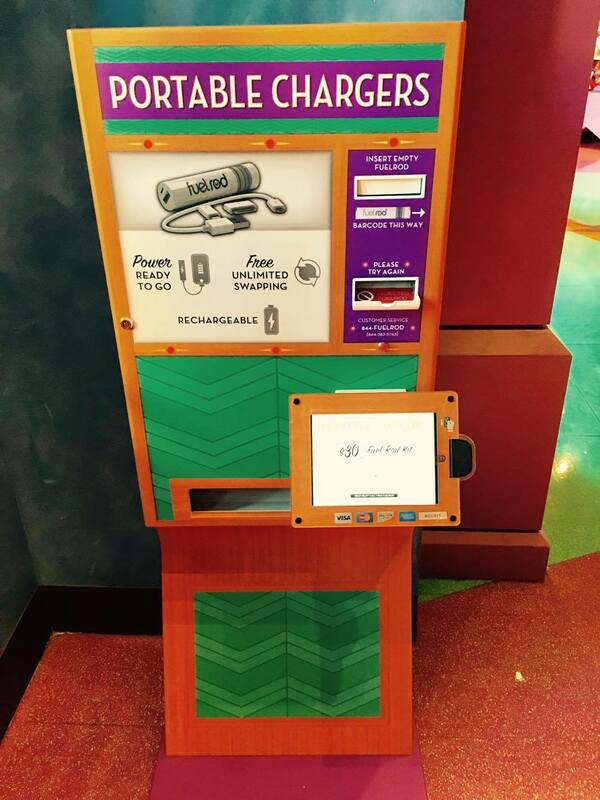 If you purchase online, you can swap that charger at Disneyland. 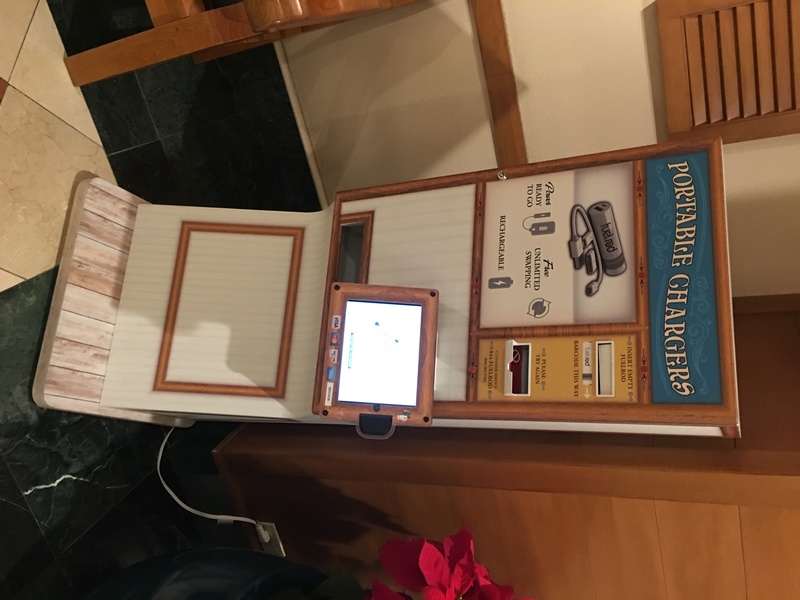 If you purchase at Disneyland, you can swap that charger at LAX. 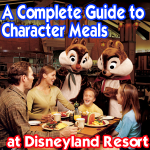 It takes about 2 minutes to purchase it in the parks. Currently, Fuel Rods can only be shipped to U.S. addresses. Voila! The battery charger is ready to use. When your battery stops charging, swap it for a new one, completely charged and ready to use. When you swap, you will swap the actual charger only. Keep the accessories. 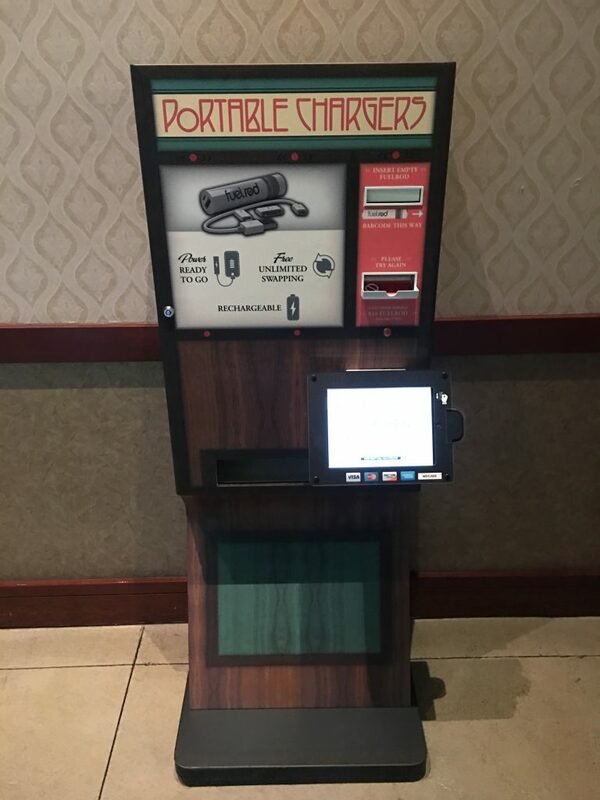 The machine will accept and distribute the charger. If you misplace an adapter or cord, replace it on your own. Magic, friends. Magic. No more desperately looking for outlets. Fuel Rod machines are arriving everywhere. 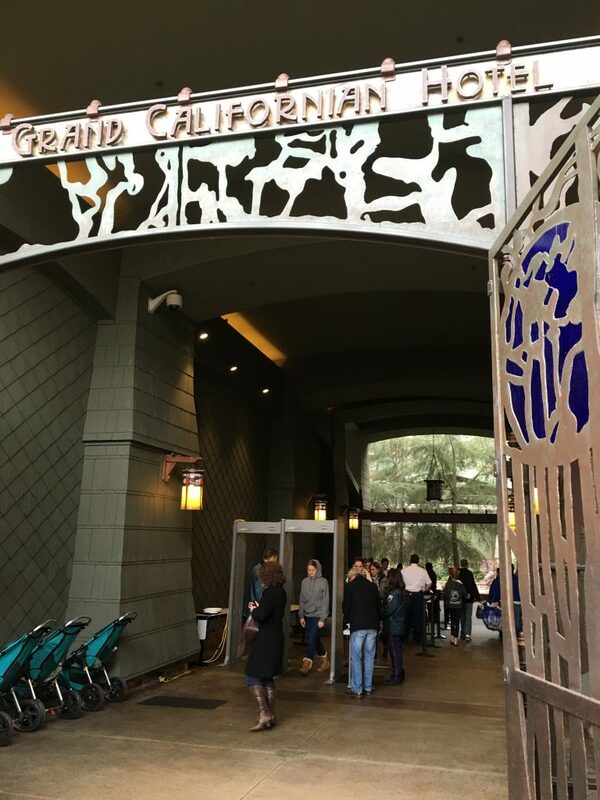 Airports, malls, etc……and now Disneyland! They’re about the size of an ATM. After learning that they arrived at Disneyland, I started looking for them elsewhere. In just the few days after I noticed them at DLR, I found one at two shopping centers that I visited near where I live. 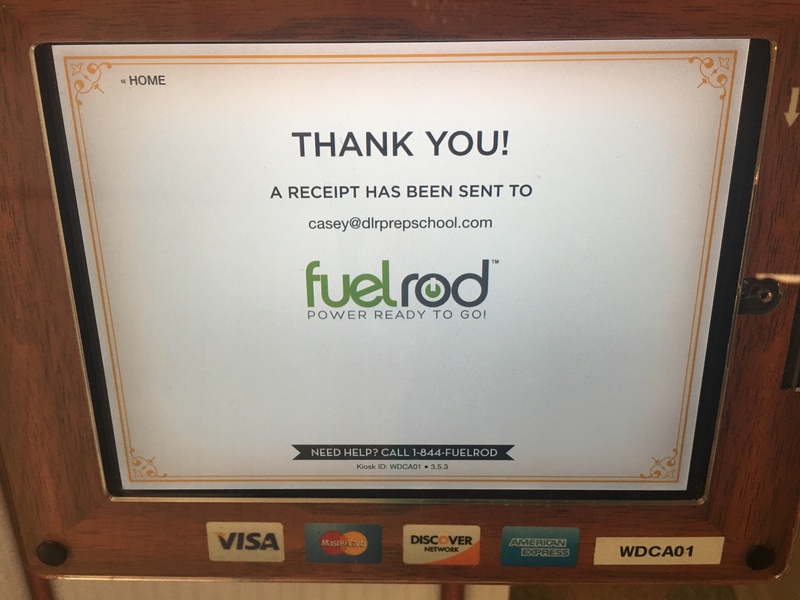 Find out if there are locations near you on the Fuel Rod website. They seem to be adding machines often, so look back later on if today didn’t show results. 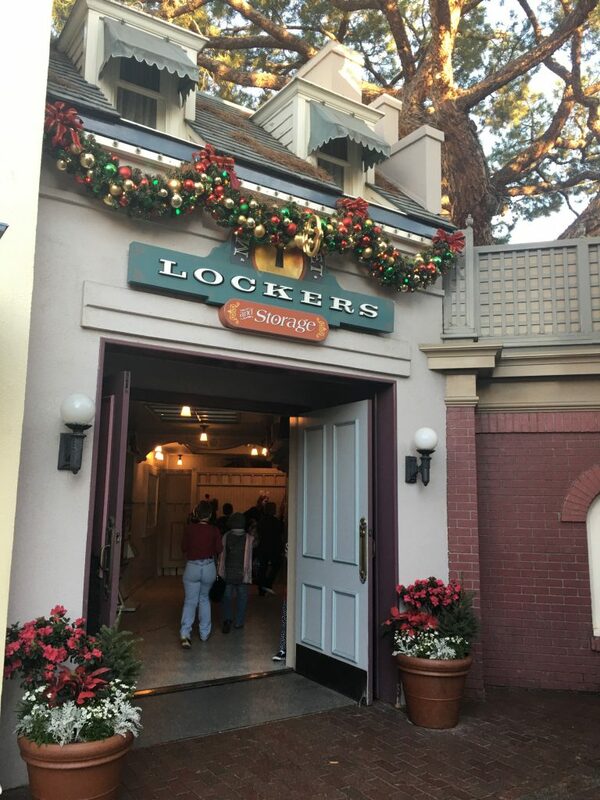 Main Street Lockers – Walk into the locker building and they’re on your left. There are two machines at this location. 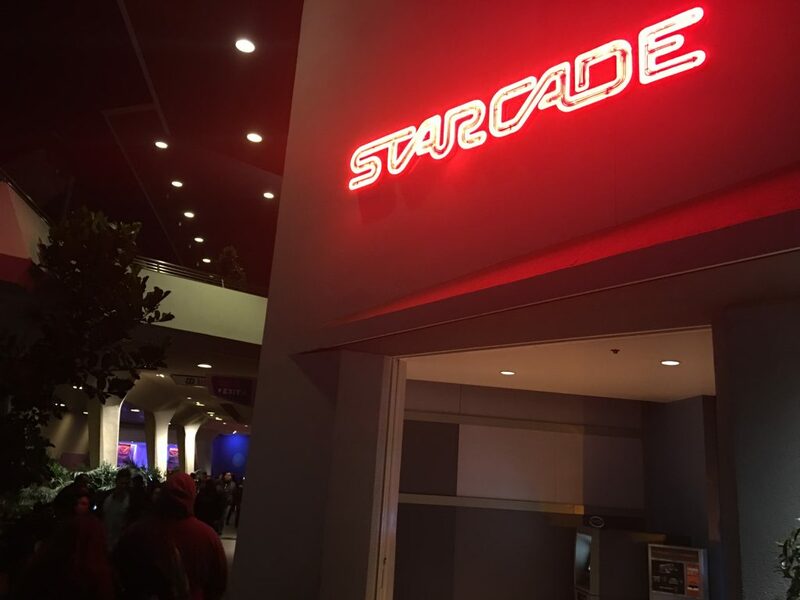 Starcade in Tomorrowland – To the left of Star Trader, on the way to the exit of Space Mountain, you’ll find a little cut out in the building on the right. The Fuel Rod machine is there. it’s a small world gift shop in Fantasyland – After you exit the ride, it’s to your left if you go through the gift shop. 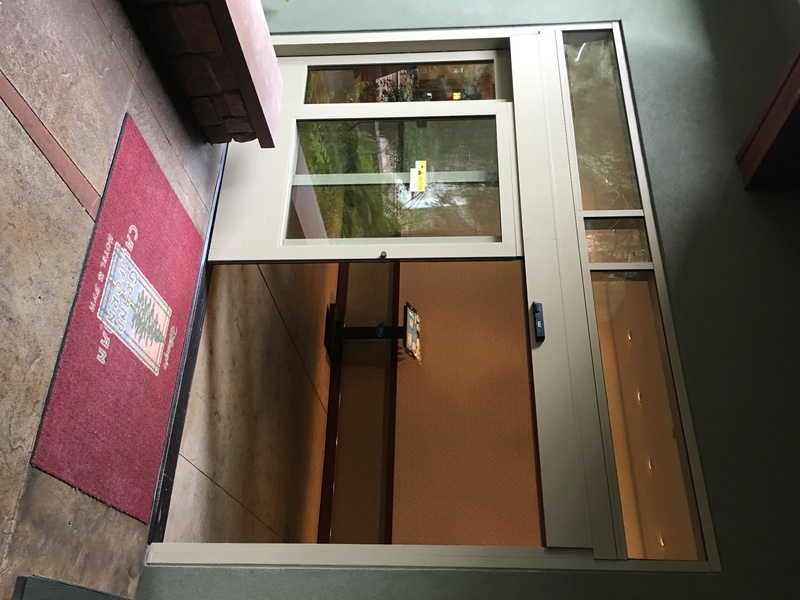 Frontierland Entrance – Enter through the main entrance of Frontierland and make a quick right into the Westward Ho! Trading Company store. The machine is located in the back. Pooh’s Corner in Critter Country – Go into the shop’s entrance near The Many Adventures of Winnie the Pooh, take a quick left and the machine is right there. 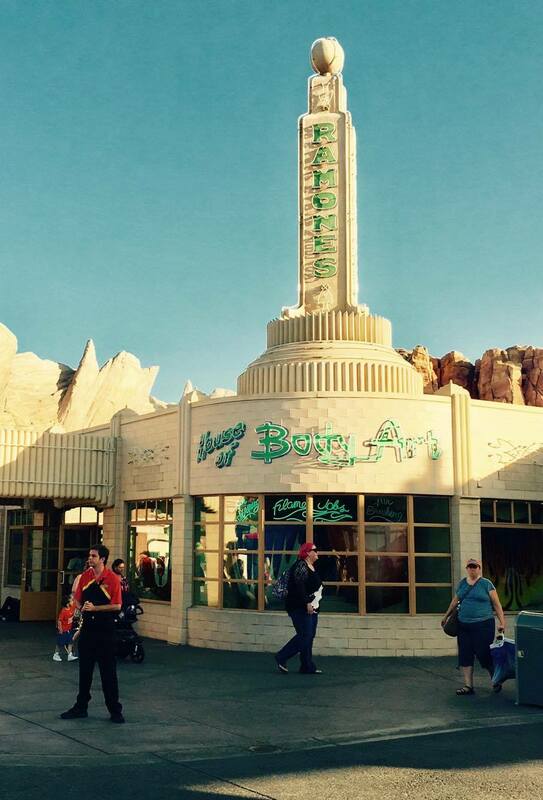 In Cars Land – Go to Ramone’s, which is almost all the way down the main road toward RSR. 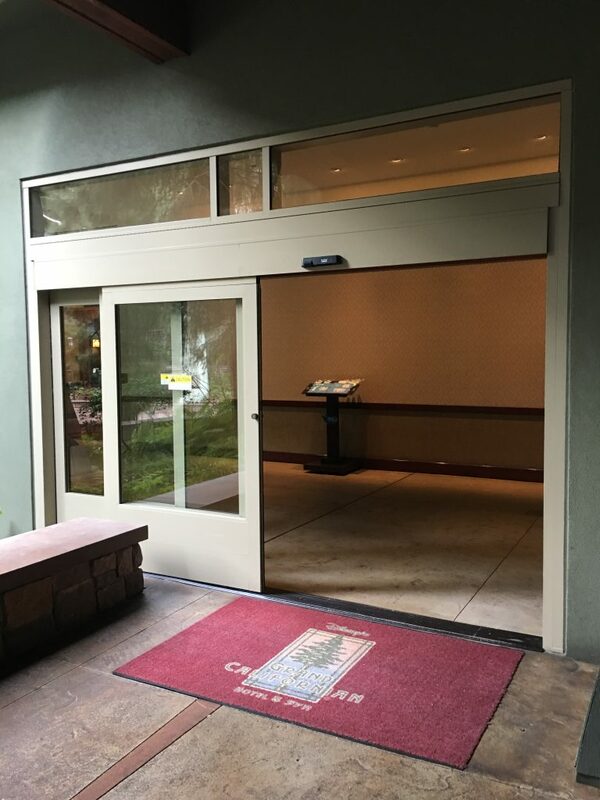 Enter through the door on the main road and it’s to your left. 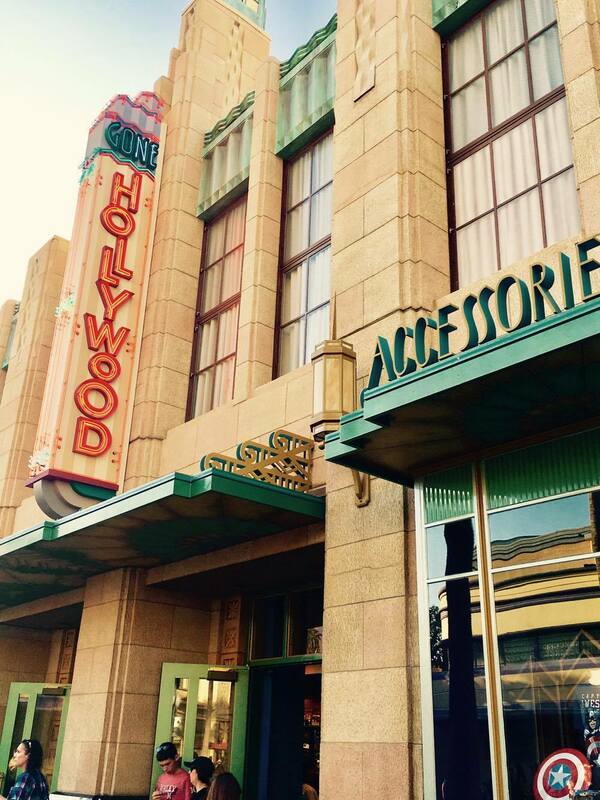 Gone Hollywood in Hollywood Land – Enter the shop and take a right. It’s on your right. Knick’s Knacks in Pixar Pier – Across from Lamplight Lounge, you’ll find a cute new shop called Knick’s Knacks filled with souvenirs. A Fuel Rod machine is inside, near the entrance. 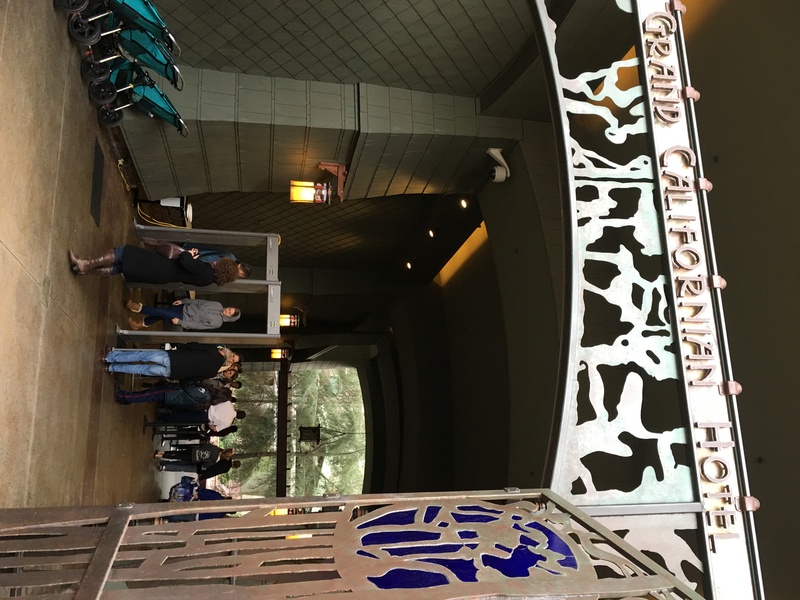 Grand Californian Hotel – From Downtown Disney, follow the path to the right and into the hotel. It’s to the right a bit as you walk in the door. 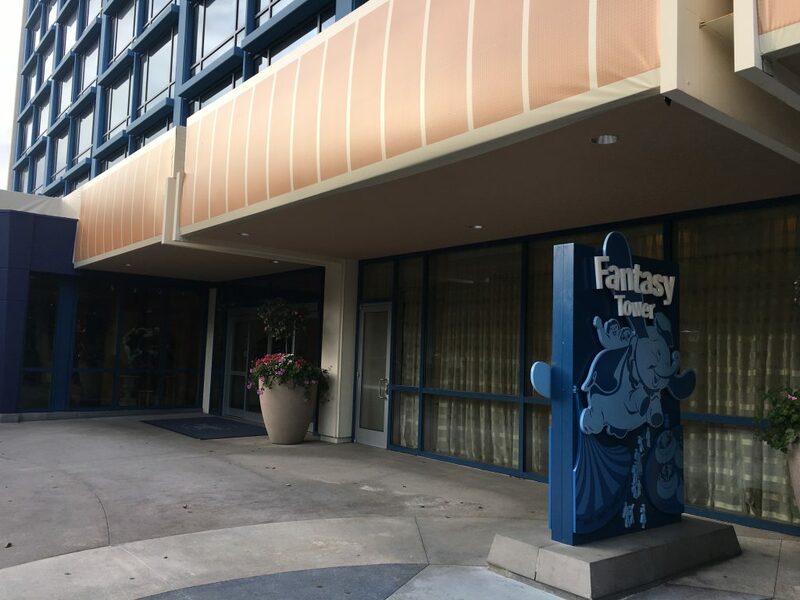 Disneyland Hotel – In the Fantasy Tower, find the Fuel Rod machine to the left of the business center. 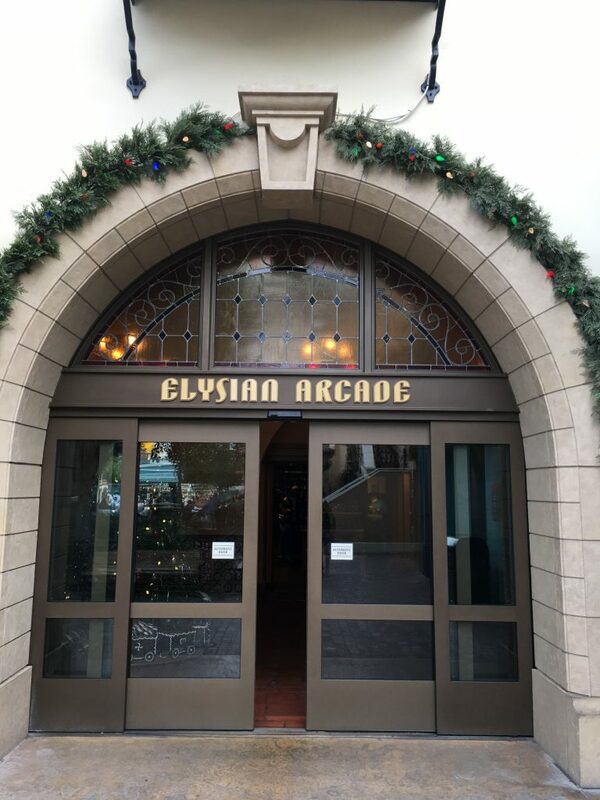 Paradise Pier Hotel – In the lobby, you’ll find this machine past the elevator tower, down a bit and on your right. 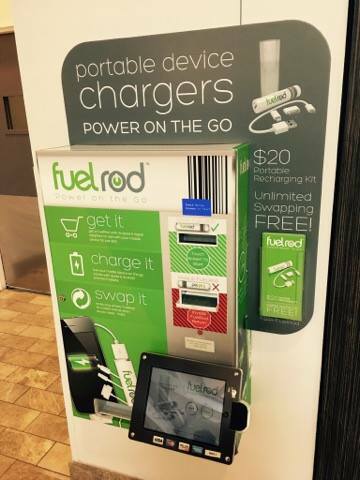 Many airports, malls and transportation centers now have Fuel Rod machines. 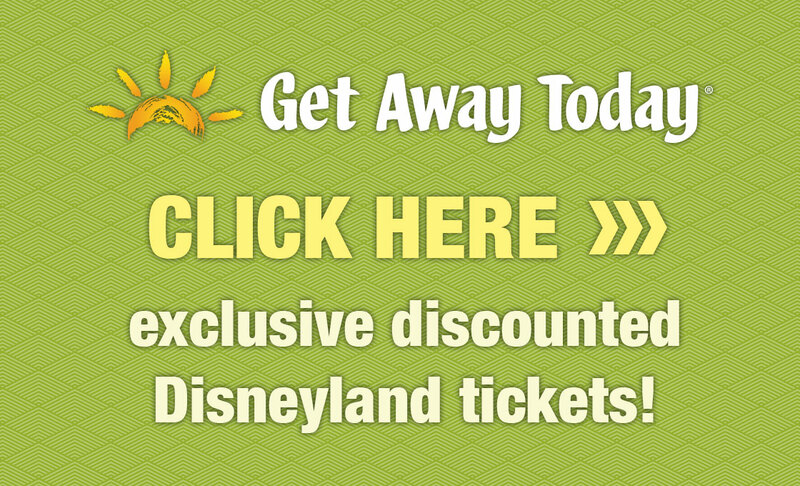 Purchase yours in one of these locations prior to arriving at Disneyland and save $10. This machine, below, is in a shopping district near my house is San Diego. 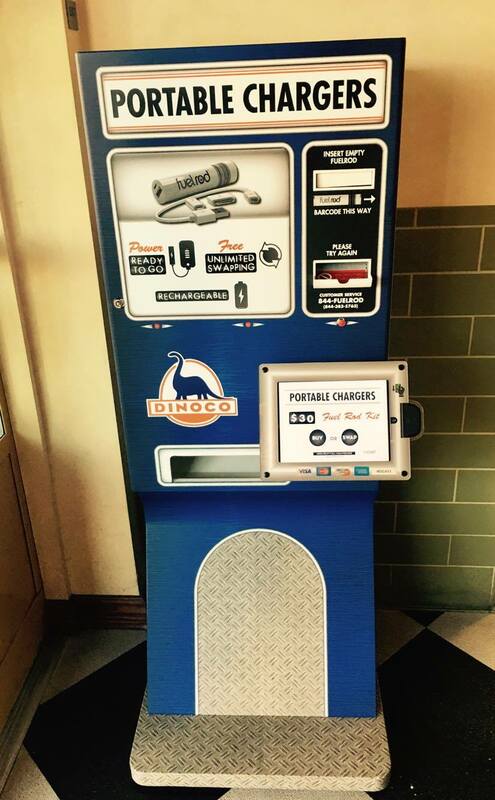 Locate machines near you and buy before you get to the park. Then, swap as needed. All Fuel Rods are universal and work together. My initial concern with this product is that the machines might run out of the rods. Haven’t seen that happen yet. I was also concerned I might come across a defective fuel rod. Haven’t had that issue, either. 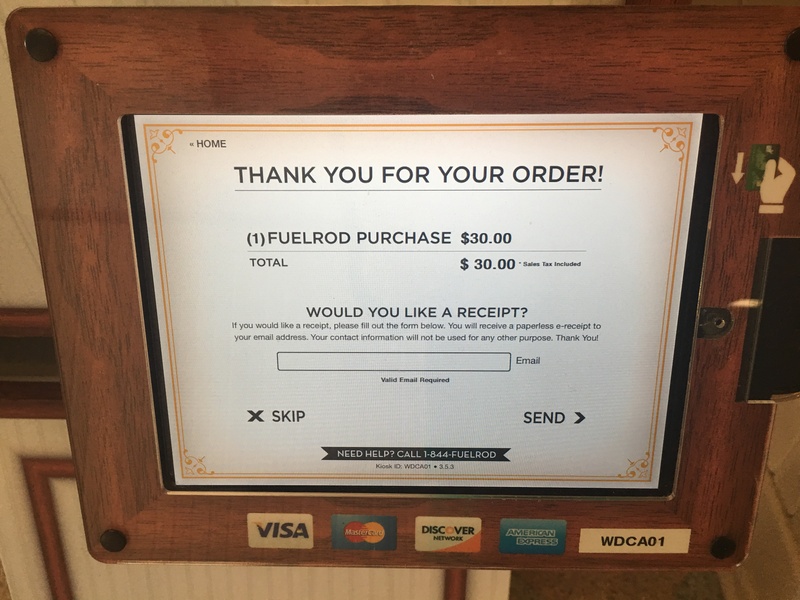 If you have issues, you can contact the company easily at 1.844.FuelRod (844.383.5763) or on the main page of their website. Their customer service is excellent. When you’re not near a Fuel Rod machine to swap for a new one, simply charge the rod as you would any other device. You just need a USB adapter. 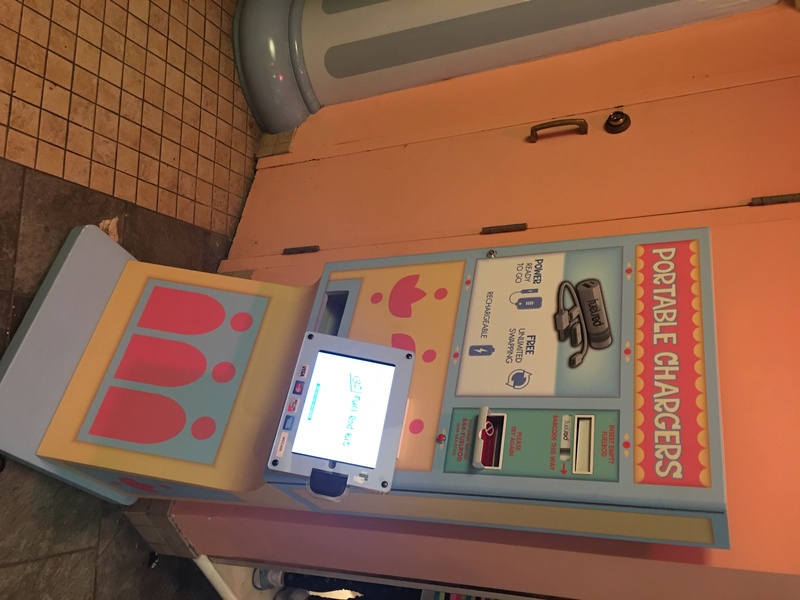 With just a few machines in each park at this point, it’s smart to swap your battery as soon as you are near a machine. 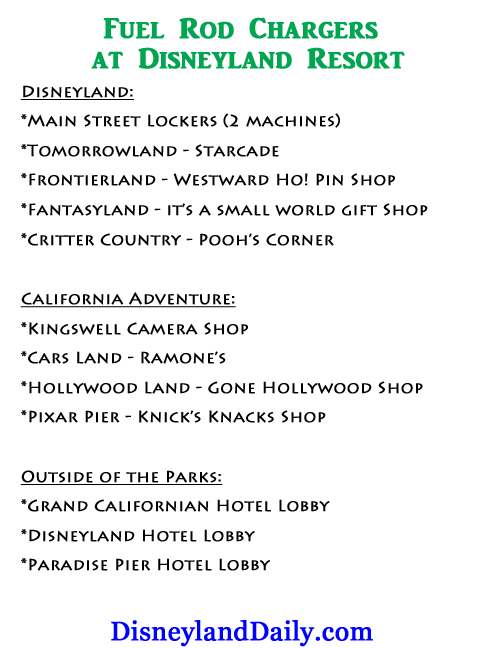 As stated before, save that graphic above that lists the locations for each park and take advantage when you see one. 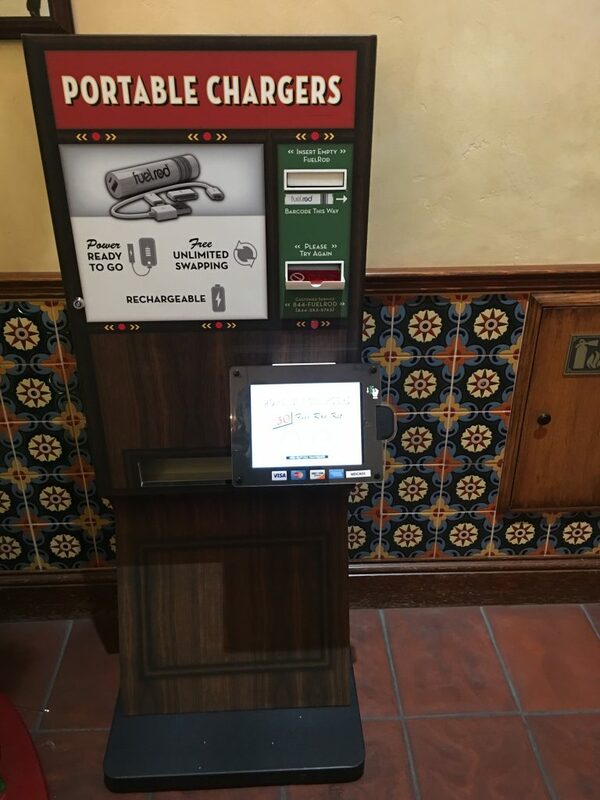 As new machines are added to Disneyland and Disney World, I’ll update this post. If you know of any that are there that I haven’t noted here, please leave a comment and I’ll add it to the list. I was at SeaWorld San Diego, California, and my phone was dying while I was waiting on a call from my husband. I knew if he couldn’t reach me and my daughter he would panic. 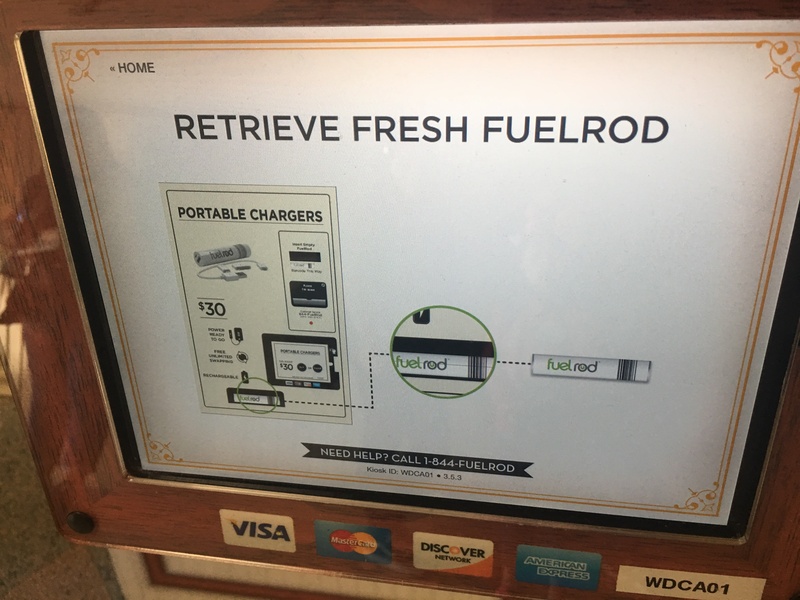 We were ready to leave the park to go back to our room and charge the phone when we stumbled across the ‘Fuelrod’ kiosk. Granted money was tight for us and I was VERY skeptical but I thought better than disappointing my kid so I spent the $30 and I must say it was the best investment I have made in phone gear. I used it all weekend, if I used my fuelrod, I would just swap it out and get a fresh battery and away we went. I have also been using it in my car or in my purse or where ever I need it when I need it then plug it in when I am through. I LOVE IT! So glad it worked for you. Agree! 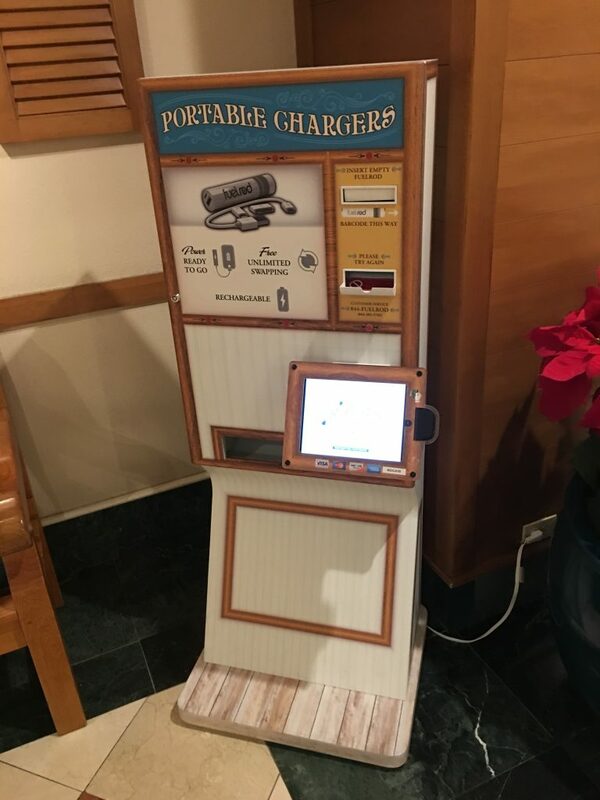 Super convenient for the parks. I’m wondering do u hv to keep fuel rod charger on phone the whole time? Or is there a way to tell when it’s finished? Also only one full charge per rod or a few since I hv 3 teenagers..???? I carry a few with me for each trip because I have three kids. 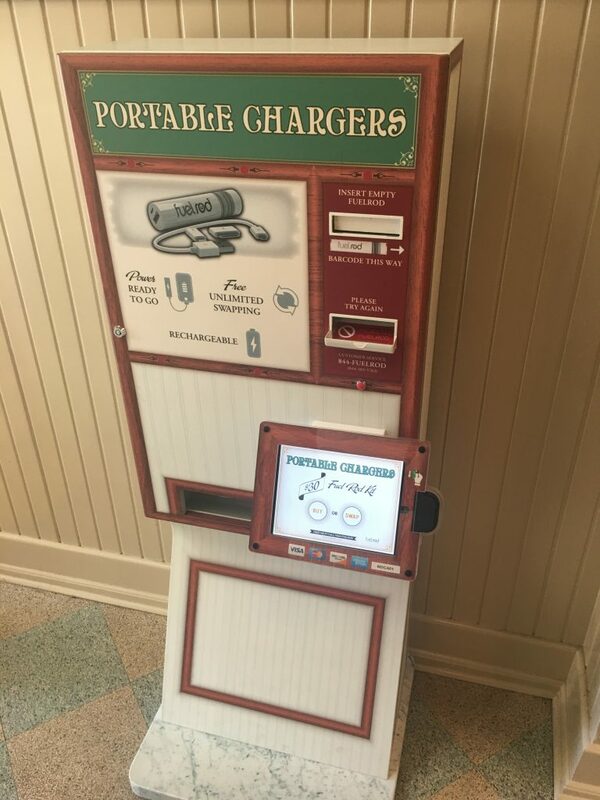 You can also charge them at home to re-use again and again when you’re not in the parks. There isn’t a way to tell when it’s finished. But, they provide a good charge per use. Then, just swap out as you walk through the park. Very helpful post! We’re chilling at Wine Country Trattoria and my husband needed to charge up to take another business conference call. I really appreciated that you showed that these come with adaptors and a written list of locations. I was able to pop over to Ramone’s and get one quickly. They moved the DCA one in the camera store to a different part of that arcade. I took a quick photo to give you an idea of where. 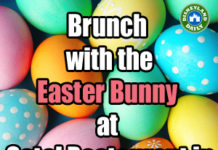 I can email it if you’d like. You’re so sweet! Thank you. I spoke to a cast member about its location and she said it will likely be moved back. 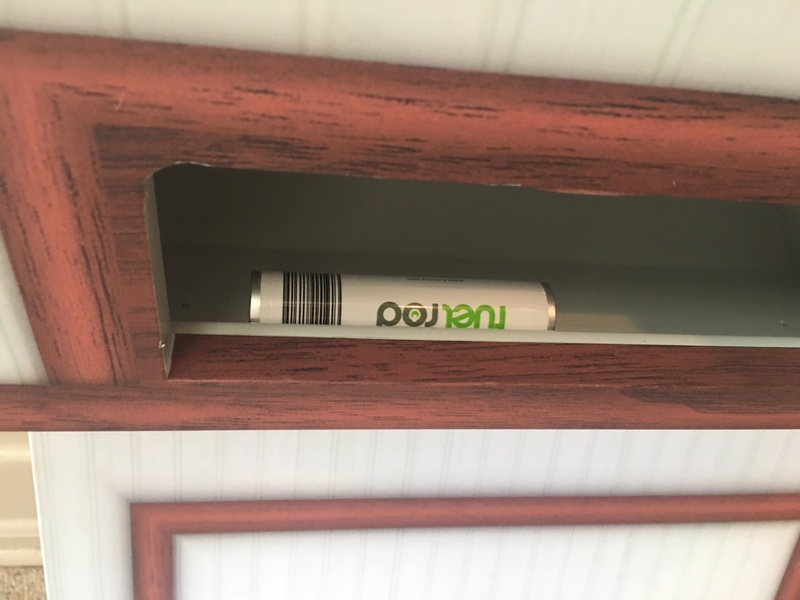 So, I made a note in this post about it being where it’s pictured or in the next room. I’ll leave it as is until we see if it moves again. I appreciate your help so much! I have a question. How well do the cables last? My issues w my extra battery chargers is that the cables eventually wear out. Is that an issue here? Thank you for all this great information! I haven’t had any issues. If you do, call the customer service number listed in this post. They’re very helpful. The kiosk in Frontier Land has been removed. 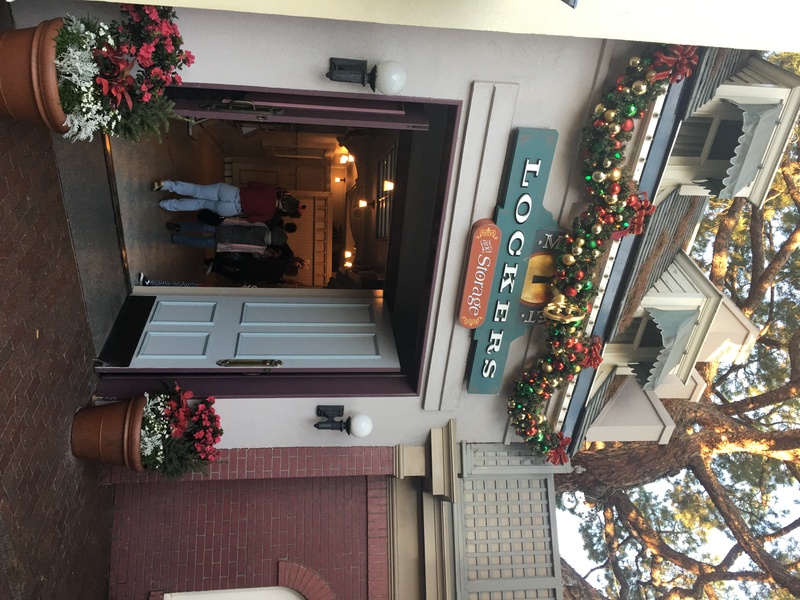 There are now two kiosks on Main Street in the locker area. 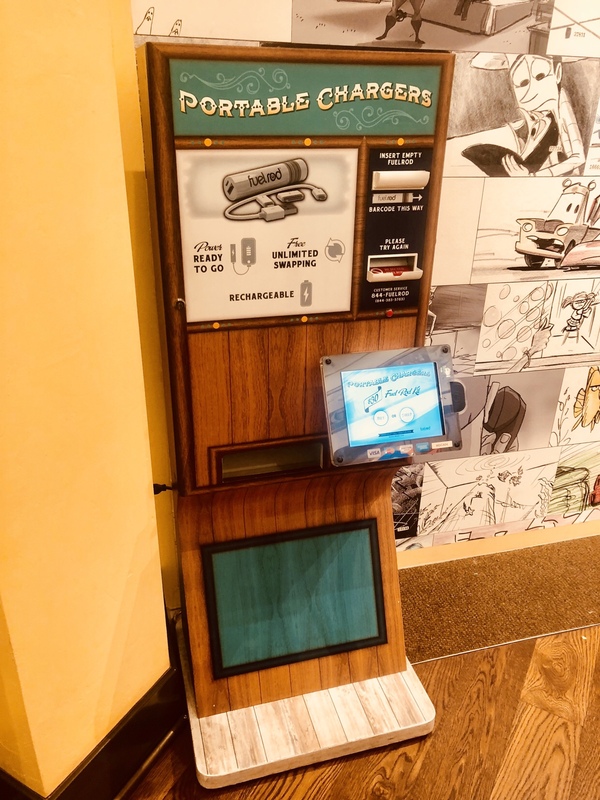 The kiosk from Frontier Land has most likely been moved to Main Street. I actually heard it moved across the path closer to the pin trading store. I have this on my list to look into tomorrow. Will update the post once I see. Thank you! Bought one at OAK airport to use while in Disneyland a couple of weeks ago and never had to use it. Have used it though since I bought it. Am bringing it with me again tomorrow when I go again and may just swap it out at OAK while I’m there and then again in Disneyland since sometimes I forget to charge it fully overnight. LOVE THESE!!! Hi there! 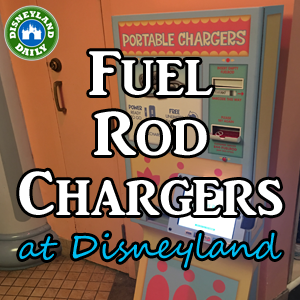 Do you know if they used the same fuel rod at the Disney World parks? I am thinking about purchasing one online. 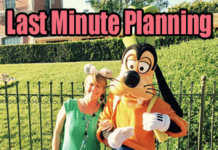 we go there in 2 weeks…but we are in AZ so we go to DL more often. thanks! They do! Fuel Rods – from that exact company – can be used nation wide. 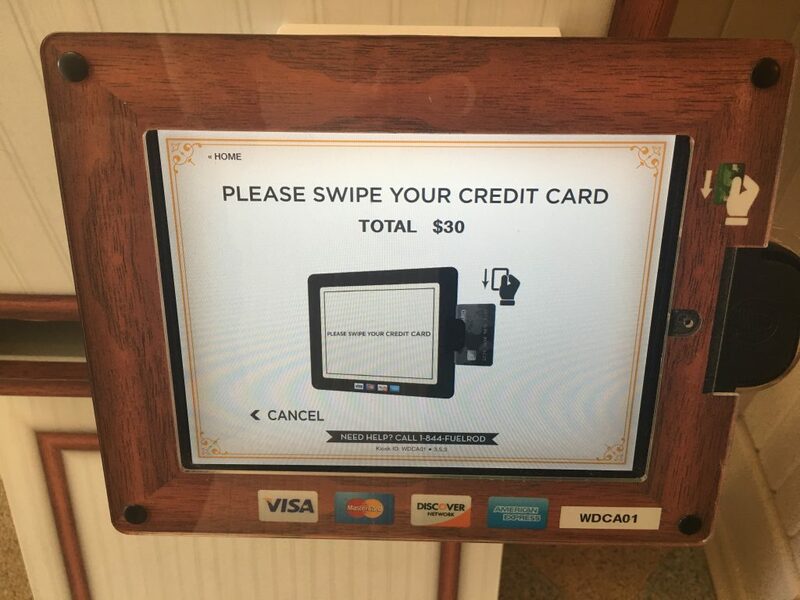 My husband uses the kiosks at LAX, we use them at our malls, etc. Plan to at WDW next summer as well. 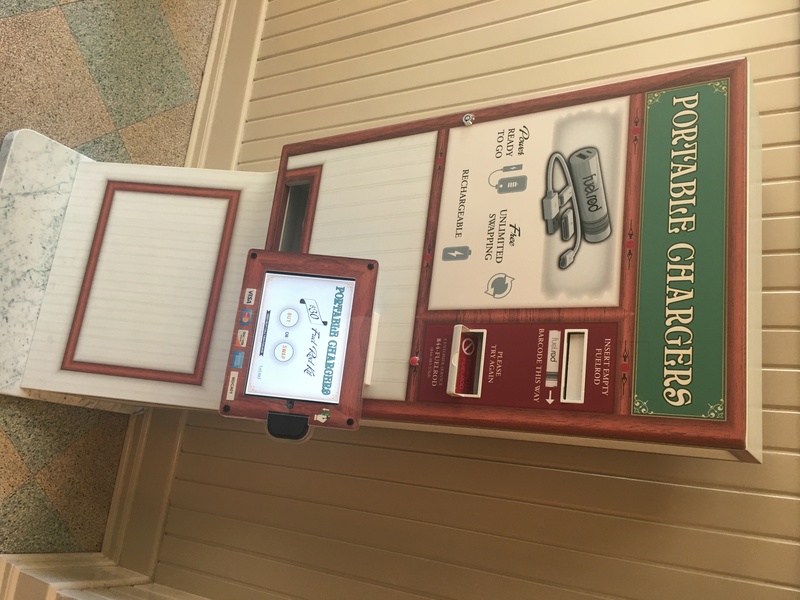 I just went to Disneyland yesterday and this was a lifesaver. 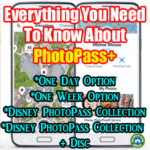 We used the new MaxPass program where you can get a fastpass using your phone. 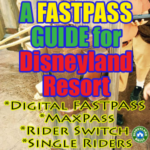 You must scan your max/fastpass on your phone when you check in for the ride. This meant I was on my phone CONSTANTLY throughout the day. 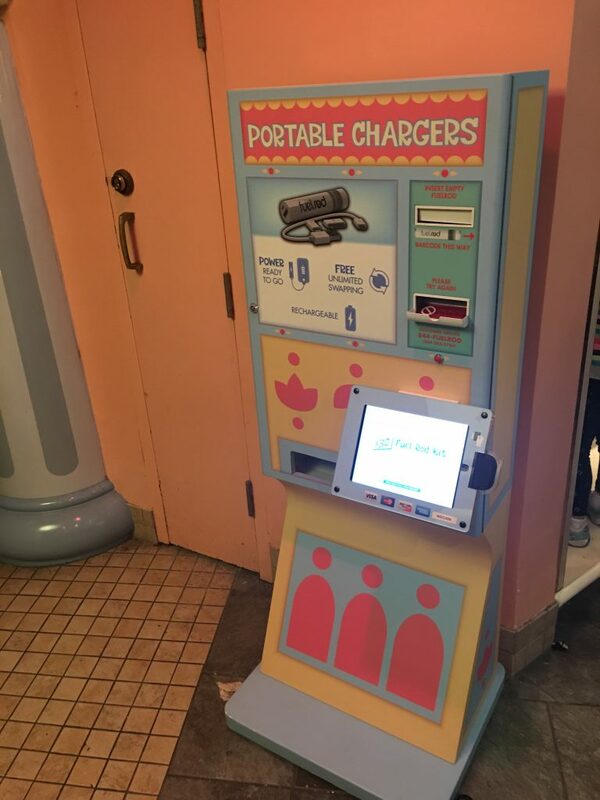 You don’t want your phone (and backup battery) to die before your next fastpass comes available. I ended up swapping out the fuel rod two times throughout the day and never had to worry about a dead phone. I only bought one and our group of 4 people took turns charging. Smart girl! Love that you shared it. And, after your trip, you can continue to use it. 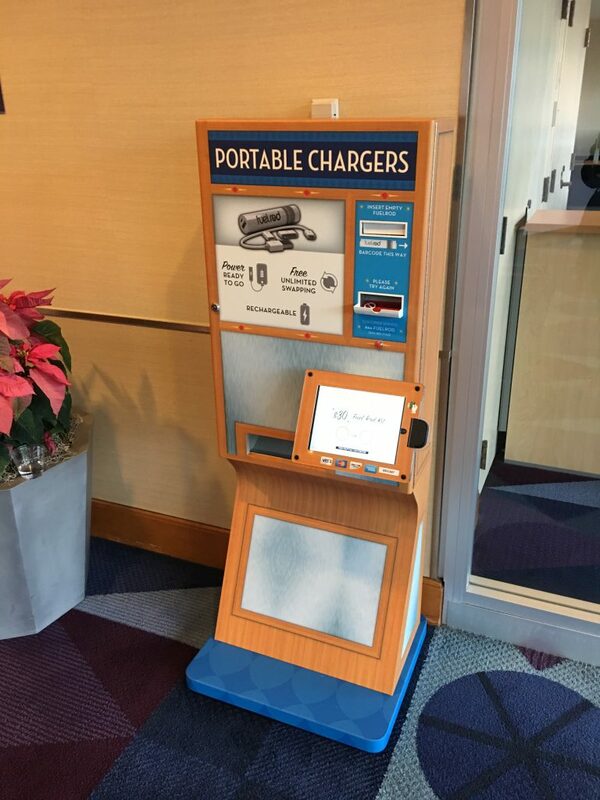 Charge it from home and then also look for machines at airports and malls. We have them all over Southern California. Enjoy! This is awesome information. I didnt even know this existed. Im visiting in August and will be using this. Thanks for the info. I do! 2600 mAh. As I said, there are definitely stronger batteries out there. But, the convenience of this one is awesome. And, it can certainly help if you’re in a pickle and your backup charger is out. 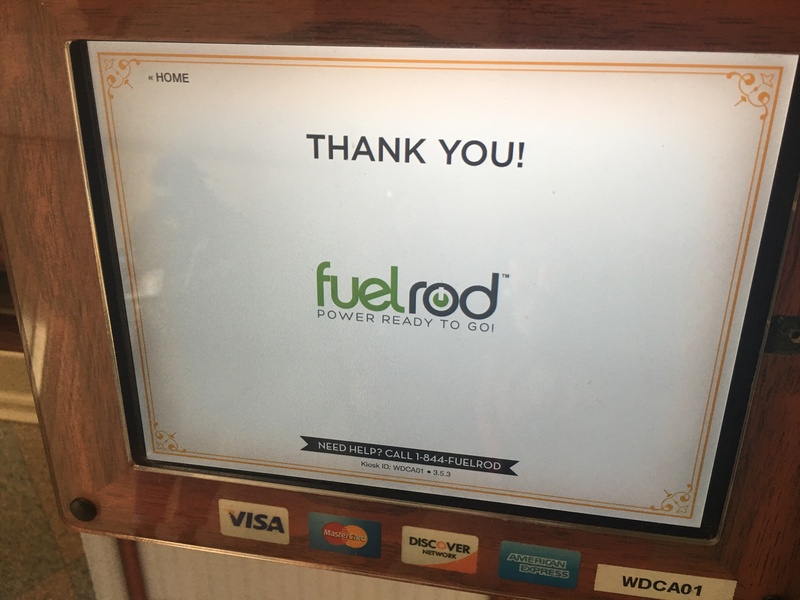 The Fuel Rod website does NOT list many of their current locations. It doesn’t even list Disneyland! Noblocations in the LA metro area or LAX are shown, (as of 5/16/17)! They do show locations in San Diego County though. Totally right. I think they’re working hard to catch up. Lots happening for them right now. This is exactly the information I was looking for. Thanks. I saw references to these recently, and wasn’t sure if the swapping was just for the day of purchase. This is a pretty cool idea. Thanks for your work! I was wondering if they expire..If we bought it at the park this July when we go, since we live in B.C. Canada, can we keep it and use it again when we come back in May 2018? I don’t see why not. Haven’t heard of an expiration. Thanks so much for this post! 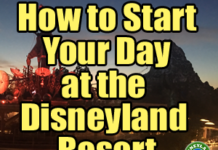 I have been doing a ton of research about Disneyland and you are the only place I have seen this. Your posts are fantastic! Thanks for sharing your knowledge! I was thinking of purchasing the rod online to save the $5. I would be exchanging them while at Disneyland and CA adventure but was wondering if I could exchange at LAX when we leave. All Fuel Rods work together. You should be able to exchange at any location. Do the DLR parks have wifi like at WDW? I’m coming from overseas and international data charges are awful. Disneyland does not have wifi. Hopefully soon, but not now. 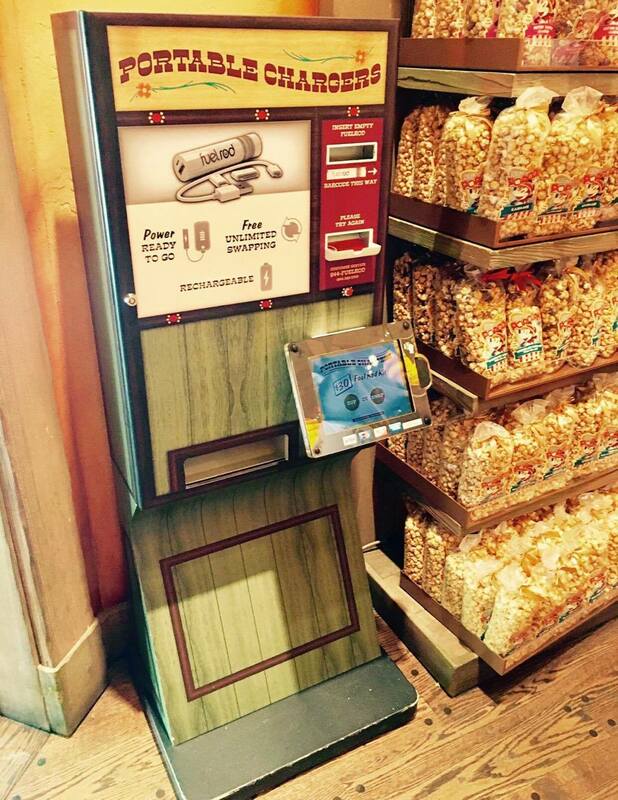 They do have wifi available now at certain locations in the park, look for “Disney Guest”. We’re from Canada and what we do is unlock our phones and use a USA carrier. We have been using T-Mobile as they have a pay by day plan that seems reasonable. You can get their SIM cards at Walmart or the T-Mobile stores. Last time I was in the US I tried my Canadian carrier’s new US Roaming package and it was terrible. Cut me off after 100MB of data. No way you can use google maps to navigate on that plan. I’m back to using my T-mobile card now! How quickly do they charge an iPhone (7+), and how many times will they charge a device before you need to swap? Trying to compare to the portable charger I already own. Also, are they lightweight? TIA! Hard to estimate since each phone is different and we all start at different points when we start charging. Takes about an hour to charge my 6Plus, but I’m constantly on it working in the parks. They weigh about the same as my other chargers. 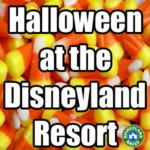 I was ecstatic when I learned Fuel Rods were coming to Disneyland. I originally purchased 2 during my trip to Walt Disney World this past August and they saved our lives. 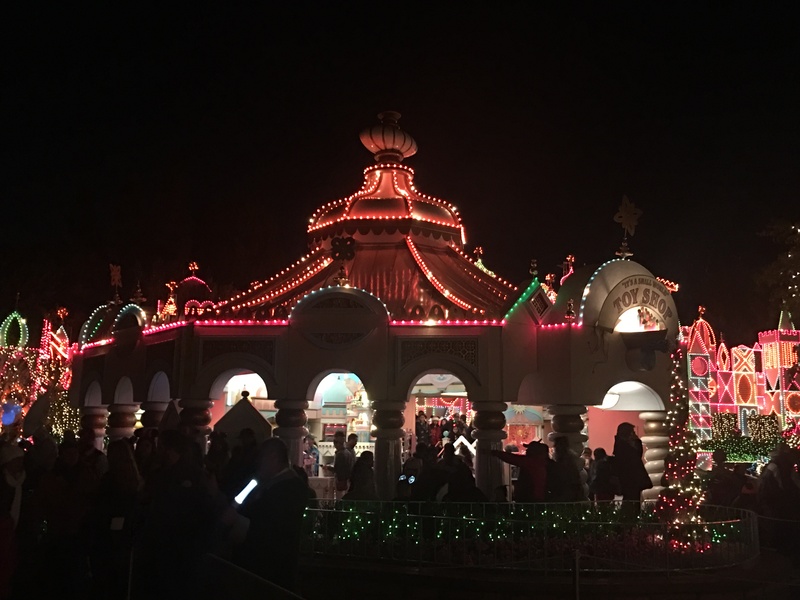 I recently visited Disneyland the 2nd Week of December and they turned out to be another lifesaver and my initial investment has paid off using them at both properties. 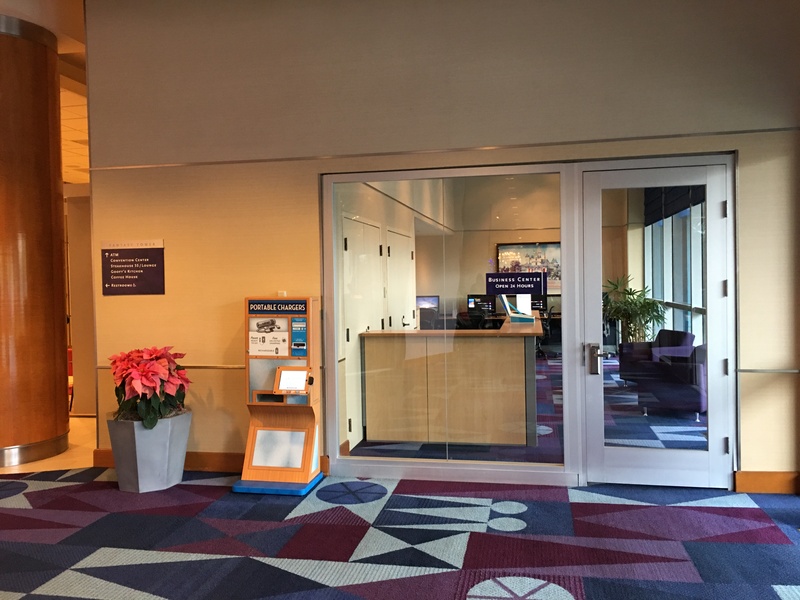 While Walt Disney World has 10x as many kiosk as Disneyland I still felt like they were spaced properly and utilized almost everyone on property as some point during my trip. 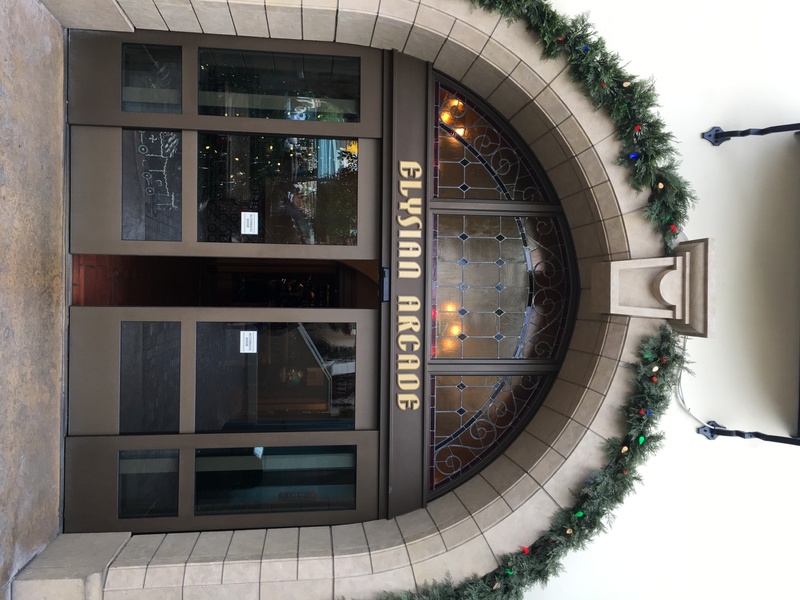 My only wish was I had this article 2 weeks ago when I spent some time trying to find the main street location and was given wrong information. Pictures would have helped saved time. 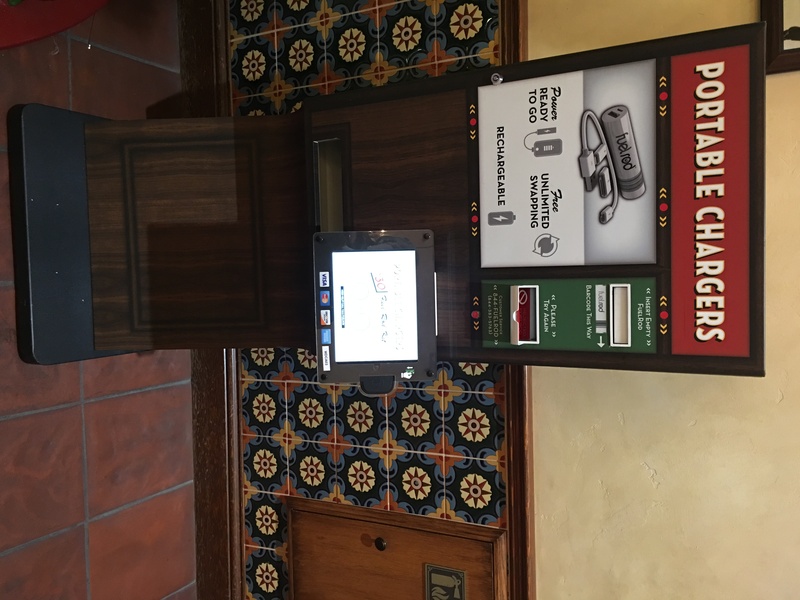 Also California Adventure needs more kiosk especially in the Paradise Pier Section. Other than that this is a good investment and keeps your phone charged all day. I would definitely recommend! Ryan, thanks! I’m assuming Disneyland will continue to add them. I’ll update this post (and graphic) as more arrive. Appreciate your input! We love ours as well. Excellent post! I’m loving my Fuel Rod!